There is a small balcony with table and chairs for that all important morning coffee or sundowner! This is accessible from the kitchen/dining area. 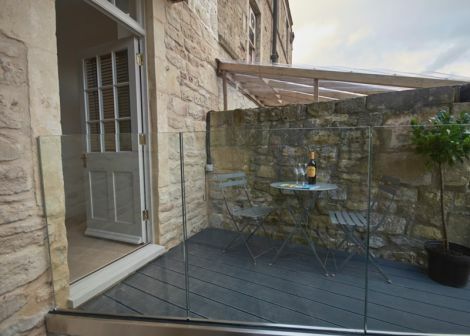 There is also another exterior sitting area, with yet another table and chairs which is accessed from the lower floor bedroom.